Those looking at signing up to a new account with Mobilebet will find a very simple and easy to use welcome offer waiting for them. They have kept things very easy for the punter here, and the offer is that if you deposit and bet £10 with them, they will give you a free £10 bet to use. This is as easy as it gets, and is open to everyone, whether you are a big or small player which is great to see. The one important thing that players should note is that the bet you place with your own £10 must be a multiple bet with two selections or more, and must be at odds of 4/5 or greater. Other than that, there is nothing else to think about when using this offer. If you are interested and want to sign up to a new account with Mobilebet then simply follow the steps below to sign up with them. 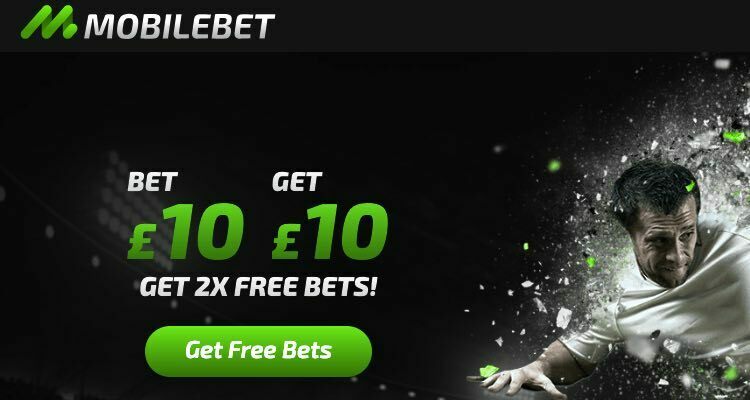 When you claim a free bet offer from a bookmaker, you will have to abide by the terms and conditions of the offer, and here they are for this offer from Mobilebet. At the moment, Mobilebet do not offer any further sports promotions for you to take advantage of. However, they do run a points club and when you log into your account, deposit funds, bet and other things you will receive points from them. These can be exchanged for free spins inside the casino or free bets so if you plan to be active on this account then you will be able to take advantage of this and earn yourself some bets or spins for free from Mobilebet. Hopefully, they will add some more sports promotions in the future for players to take advantage of.